The Great Reawakening did not come quietly. Across the country and in every nation, people began to develop terrifying powers - summoning storms, raising the dead, and setting everything they touch ablaze. Overnight the rules changed...but not for everyone. Colonel Alan Bookbinder is an army bureaucrat whose worst war wound is a paper-cut. But after he develops magical powers, he is torn from everything he knows and thrown onto the front-lines. 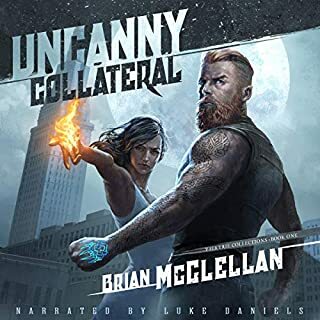 Drafted into the Supernatural Operations Corps in a new and dangerous world, Bookbinder finds himself in command of Forward Operating Base Frontier - cut off, surrounded by monsters, and on the brink of being overrun. Yes, it's X-men meets Dresden Files. 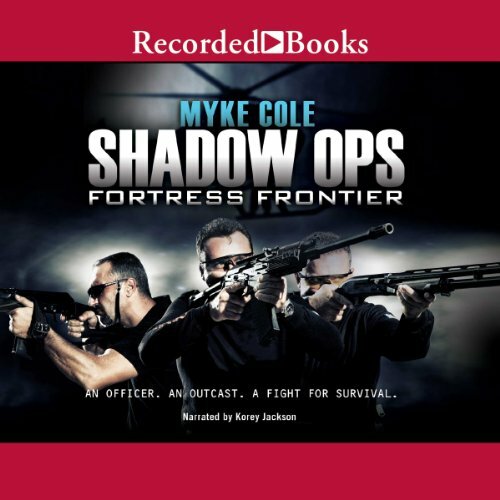 What other book might you compare Shadow Ops: Fortress Frontier to and why? Old Mans War, both books take military fantasy or scifi and spin an amazing story. What about Korey Jackson’s performance did you like? The climactic final battle and Bookbinder truly stepping into his leadership role. Can't wait for the next books in this series. Well...Honestly can't say, it's not bad by any means but I just don't really know! What was one of the most memorable moments of Shadow Ops: Fortress Frontier? As always Mr Cole do the action segments really well, so any one of those. IMHO, this installment never reached the suspence levell of the first. If that depends on that I read the first and listened to the second I can't say for sure! The narrator was so-so i.e No William Dufris! Also I had a tough time getting engrossed in the book, not as much action and suspence. I will state that in the second half it picks up and I got the "groove" going again! 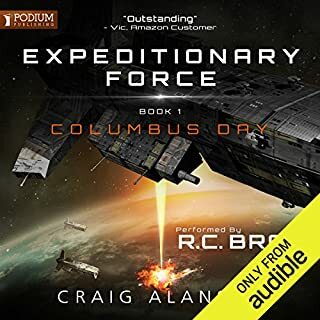 I will still get the third book cause even though I was a bit disapointed, it's still much better than most of the other Mil Sci-Fi stuff out there. Excellent merge of fantasy and modern day! I am a huge fantasy nerd and the closest I have gotten to modern day reading is Jim Butcher: Dresden Files. 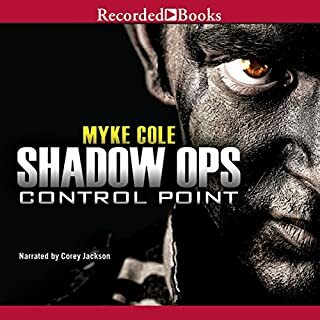 Myke Cole created a world in which fantasy and sci Fi meld perfectly. The narrator is great once you get use to him. This book was like ordering a stew and being served a weak broth. I listened to this for two and a half hours and realized that nothing was happening. There was mention of magic, but very little going on. Lots of "why didn't I stand up to him? boo hoo, "when can I see my family again" boo hoo, boo hoo. I decided life is too short for this and there are better choices. The narrator had an annoying lisp! Really, a professional narrator with a lisp? Not for me. Maybe - the friend would have to be a die-hard sci-fi person. The performance was not awful but it wasn't great either. Separation between characters was often indistinguishable which made the story line hard to follow at times. It made it hard to identify with the characters as well. It was work to listen and stay with it. I don't really like having to work to listen. If you could sum up Shadow Ops: Fortress Frontier in three words, what would they be? The description of cricket from an American perspective is really funny. I read the first book and it left me hopeful enough to try the second book. Unfortunately for me I was never a huge fan of the first book and this book was more of the same. I didn't like the characters in these books, but I felt that the prose and the plot made up for them to some extent. I will not be following this series in the future because the characters didn't seize me/were too dense for my taste. Hopefully the author's characterization improves somewhat in the future because his prose is very good. 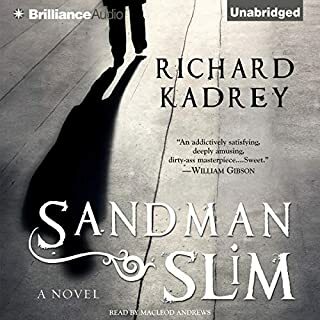 I wanted to like the book simply because of the writing style, but that wasn't enough to carry it for me. I finished it, but was left wanting. 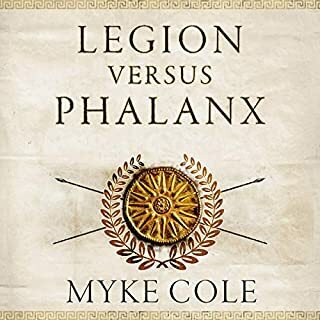 If you want a book with good writing, good fights, and mostly good story and plot this might just be the book for you. It follows up from the first book with plenty of conflict and social reference to discrimination and persecution. Any fan of the X men comics will be able to relate to the characters and the action is fast and furious leading up to a “fellowship” on a journey on “another earth”. I'll admit, the idea of special forces being integrated with magic users is intriguing but this book fell completely short of that promise. It was, instead, very boring. 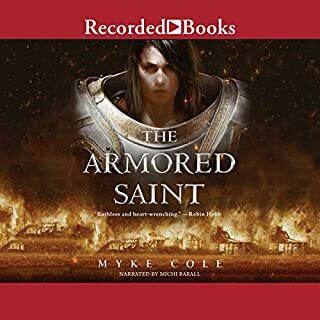 I made it through the first half where we meet our main protagonist Col. Bookbinder who is infuriatingly passive for all of the story I could take. It takes about half the book for him to take any action that even relatively effects the outcome of events. I know, its supposed to be a story about him learning how to stand on his own, and that's fine. I just found the character too annoying, too whiny to connect with. Unfortunately, when he FINALLY stands up for himself, finally starts acting the story breaks off to follow a character who's only been mentioned a couple of other times, leaving the events surrounding Bookbinder completely! Aside from that I just couldn't believe the world Cole was setting up. By half way through I still didn't know what was up with his magic. The odd insistence of some kind of code names made me think he was trying to get an X-Men vibe into an already confusing story. The setting and story has some promise, but it just couldn't hold me at all.